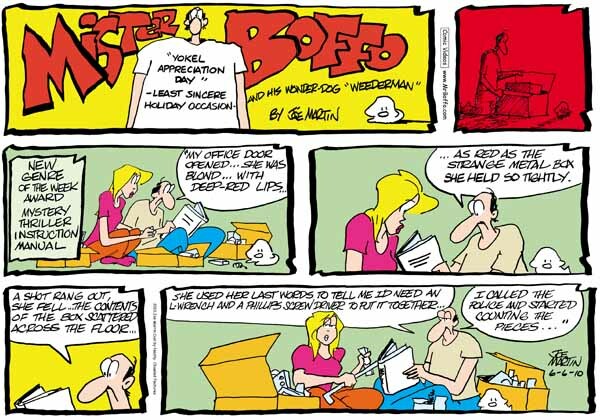 I am just getting around to reading yesterday’s newspaper, and Mr. Boffo is boffo this week. As I am writing a mystery and my writing group are all doing the same, we have been discussions related to reader expectations. This cartoonist captures some of the more common identifiers of the noir subgenre… as applied to an appliance manual. Rich. Hope you can read it. The type is a little tiny for me!